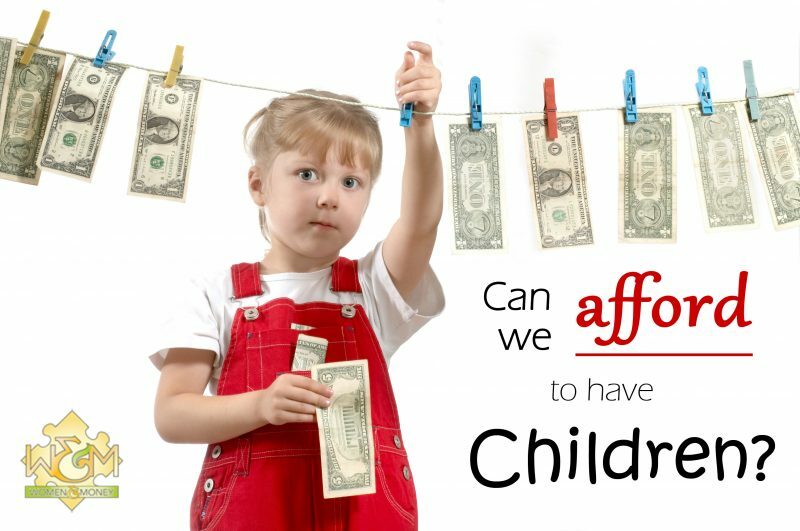 Can we afford to have children? - Women and Money Inc.
Can we afford to have children? Having and raising children: Are we asking the wrong questions? Many couples that I work with on a daily basis say things such as “When we have children…” or “We want to have kids.” I rarely, if ever, meet a couple who actually question whether they have the temperament, lifestyle, or arguably the most important factor, the finances, to raise a child. The assumption that money will present itself when it is needed, usually by grandparents or during baby showers and the like – is just that, an assumption. How did we move away from the most fundamental of all questions, “Can we afford this lifestyle change?” in relation to one of the most popular rites of passage in our society? If you skim articles on the internet, many blogs are written about the costs of having a baby, but little is mentioned about how to afford a child past his or her first year of life. Why are people not putting more thought into this 18 plus year commitment? Perhaps the reasons are twofold. Many people know that they cannot afford children now, but if they wait too long they may never be able to have them naturally. Secondly, people look at past generations who struggled but survived child rearing and assume that they can endure the same. Neither point is wrong; however, the circumstances of our modern lives has changed the trajectory of our future in ways that we didn’t predict. Consider the most basic of questions – childcare. Who will look after your children when you inevitably have to go back to work? My daughter, newly married and considering the ‘children’ question, was discussing this with a friend who has adult children (her two children are aged approximately 25-30). The friend said that when she became pregnant with her children, she hadn’t really factored child care into the equation. She assumed that things would work out, and they did. She was able to work part time as her husband’s income was good, and the other days her parents took her children. At other times, neighbours with young children were able to take care of her children. When my daughter began considering her own situation, the answers were not so clear. Her husband’s income alone (as well as her own income alone) isn’t enough to support them and a baby, and pay their mortgage and other bills – which isn’t an uncommon situation. In their financial situation one party cannot leave their job for an extended time, so she would have to return to work after her maternity leave ends. The other immediate option – having grandparents take care of her children – isn’t feasible, as both sets of grandparents are still working for another 5+ years. This scenario isn’t uncommon, as many adults of ‘grandparent age’ are still working to support themselves in retirement (maybe because their adult children didn’t move out right at the age of 18). Something else to consider – many grandparents feel that they have done their share of child rearing and are looking for new adventures that do not include raising their grandchildren! In lieu of grandparents, my daughter doesn’t know her neighbours well enough to leave her children with them. This leaves professional child care, which comes at a price tag of approximately $1000 per month, per child, for full time care. The average (after tax) salary of a couple without children in Canada as of 2011 is between $76,100 and $83,300 annually (Statistics Canada). So, if $80,000 is the median salary, this means that many couples are making less than this figure (and of course, many are making more). This means that each month the couple’s take home pay is approximately $6,600. If the couple has to pay for professional child care for their child, take away $1000 immediately from their budget. The couple is now left with $5,600 to pay for their mortgage, food, clothing, car payments (if applicable), gasoline, home and car insurance, personal grooming, pets, utilities, property taxes, and home maintenance. They also need to pay off debts (if applicable), contribute to RRSPs or pension plans, contribute to RESPs (if applicable), and put money towards their emergency fund. I haven’t even discussed the luxuries of life yet: dining out, vacations, a vacation property, hobbies, interests, personal grooming beyond the necessity (dying hair, manicures, pedicures, waxing, and massages). If that couple decides to have a second child, of course, the day care costs are now approximately $2000. You can do the math – how long can this couple sustain their lifestyle? The old adage “if you wait until you can afford children, you will never have them” isn’t necessarily wrong – the timing will never be perfect and you may always feel as if you are financially ‘behind.’ However, I believe that this excuse is being used far too often to justify hasty decision making and a lack of financial discipline and planning. True – having children is not just connected to your finances, since you also have to consider your age and your ability to get pregnant or adopt – but this doesn’t excuse a couple for throwing financial planning out the window. The difference between my mother’s generation, my generation and my daughter’s generation is this – gone are the days when women could (somewhat) afford to stay home with her children while her husband worked. Gone are the days when people were satisfied with the bare necessities to get through life. Most people want it now and they want it all – the partner, the house, the kids, the pets, the vacations, the dining out, the costly hobbies. As Oprah says, “You can have it all. You just can’t have it all at once.” Something has to give. So tell me, what are you willing to give up to have and raise kids? Drop me a line or send me an email I would love to know how you plan to have it all!